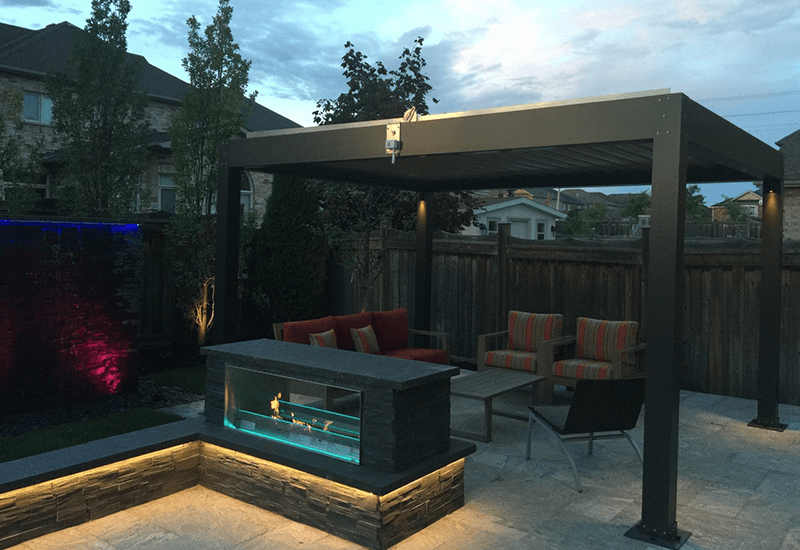 Planning your new outdoor living space will take you down many different paths. As you begin designing your new space you will inevitably start planning for an area where you will host friends and family, along with providing an area for relaxation. 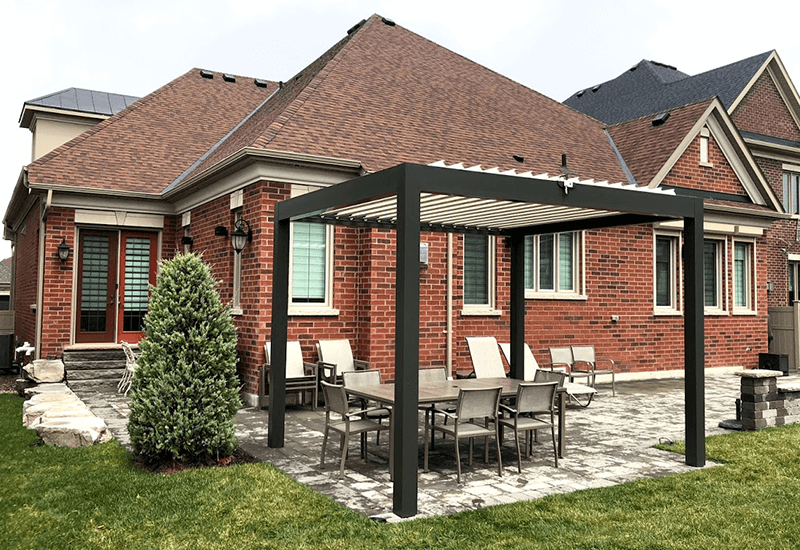 Typically these areas are connected directly to your home via a deck or patio of some sort and eventually become extensions of your home. However if you want to create a unique space on its own and also offer the comforts of being protected from the elements where do you start? 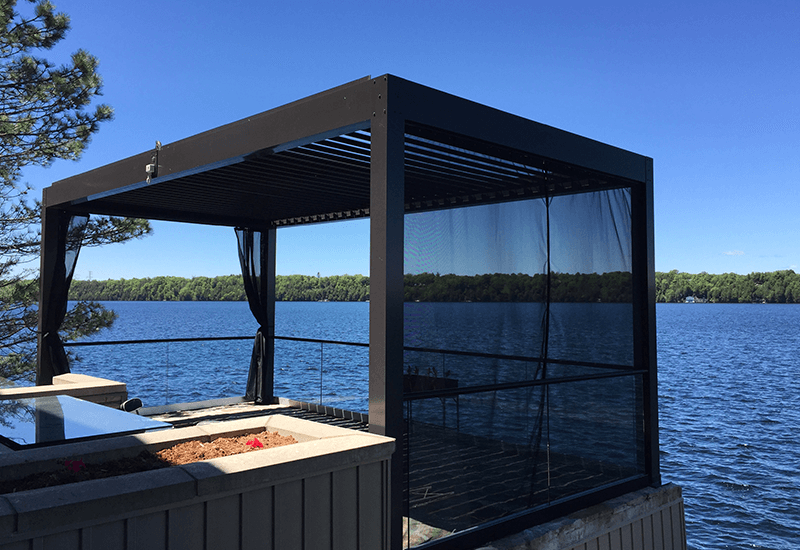 Do you build an enclosed space typically offered by a gazebo? 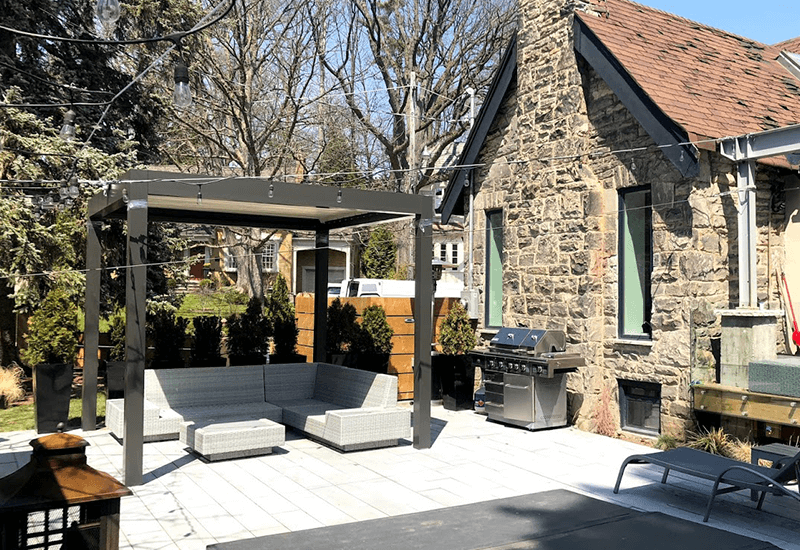 This could limit you to how many people you can entertain along with typically intruding on useable, functional space in your outdoor living area. Another route is to build a freestanding pergola. Typically these are static structures that have fixed horizontal beams that provide some cover and also allow light in. For the most part these offer a unique aesthetic but provide little in functionality. 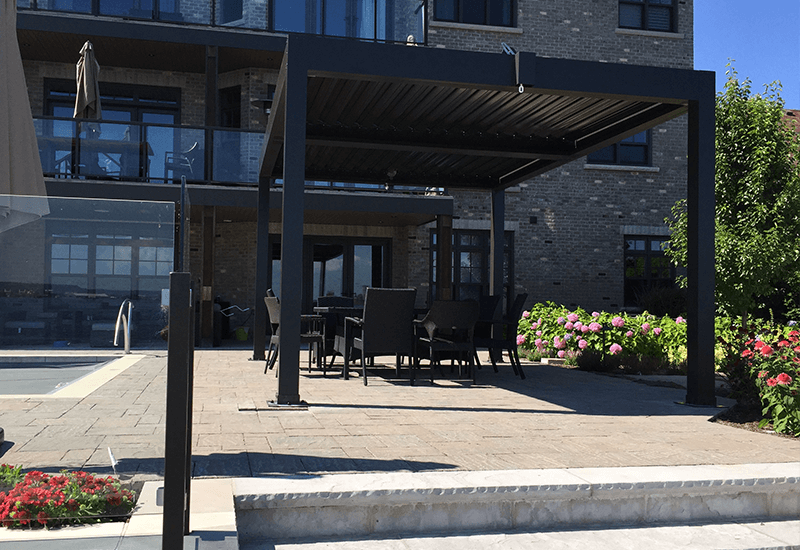 We at aluminnumpergola.ca have a solution that provides both a modern aesthetically pleasing freestanding structure along with the functionality and adaptability to provide shelter from the elements while enjoying the outdoors. 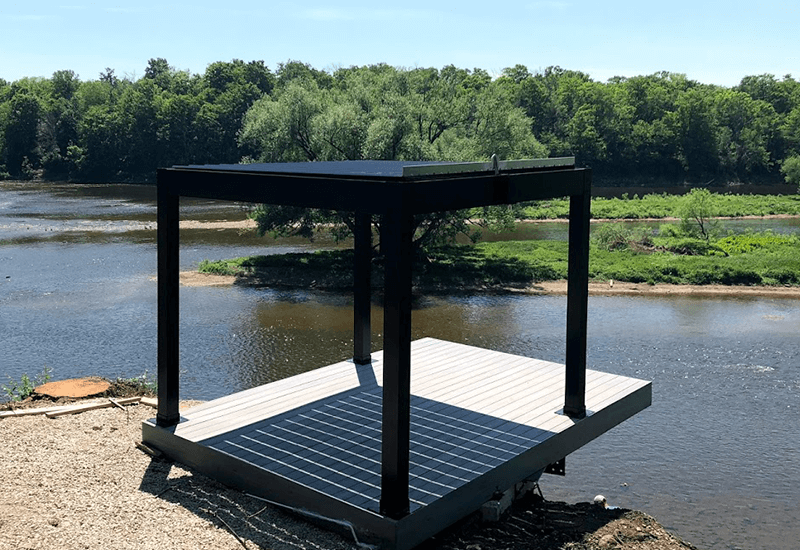 We construct our freestanding pergolas using 6061 alloy T6 aluminum. This provides a solid freestanding structure that can withstand winds of up to 140 mph, heavy rain and snowfall, and high temperatures. From there we powder coat our pieces to create the desired colour aesthetic you want. This powder coat also adds a layer of protection to the structure and keeps any moisture away from the structure itself. The aluminum louvres are the game changer when it comes to adaptability. 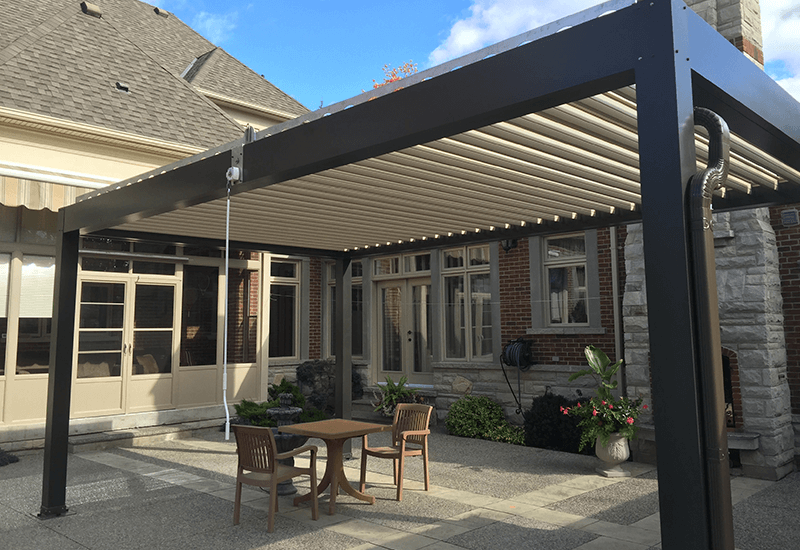 The louvres move and create a watertight ceiling that protects you and your friends and family from inclement weather and from powerful, harmful UV rays. Turning the louvres allows you to control how much light you are exposed to and this in turn helps control the temperature in the area. 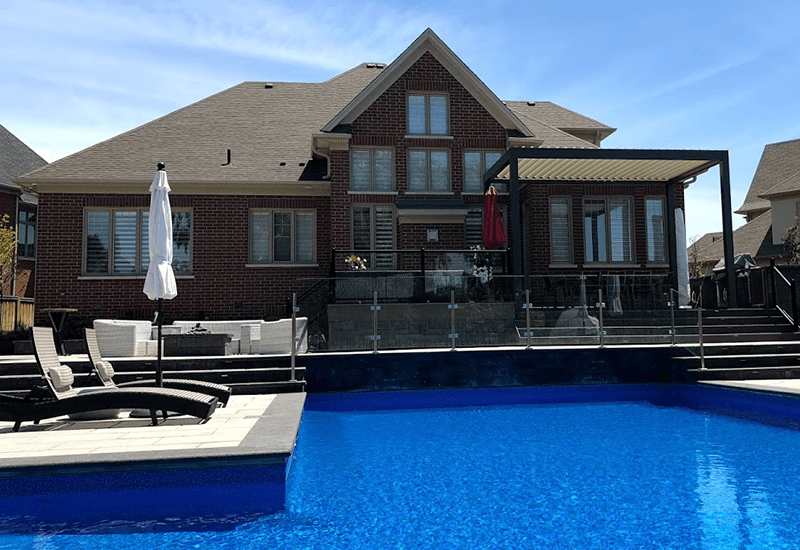 The final product is a freestanding pergola that will stand the test of time with regards to exposure to the elements and provide you and your friends and family with a unique, multi-functional space for entertainment and relaxation. 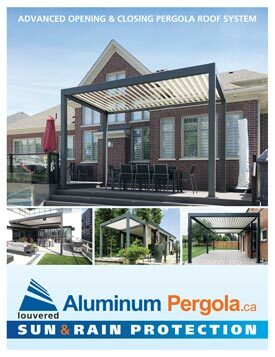 Our team at aluminumpergola.ca have also received a lot of questions regarding freestanding pergola kits. Currently we do not offer a kit or build it yourself solution but it is something our team is exploring and working on offering in the near future. 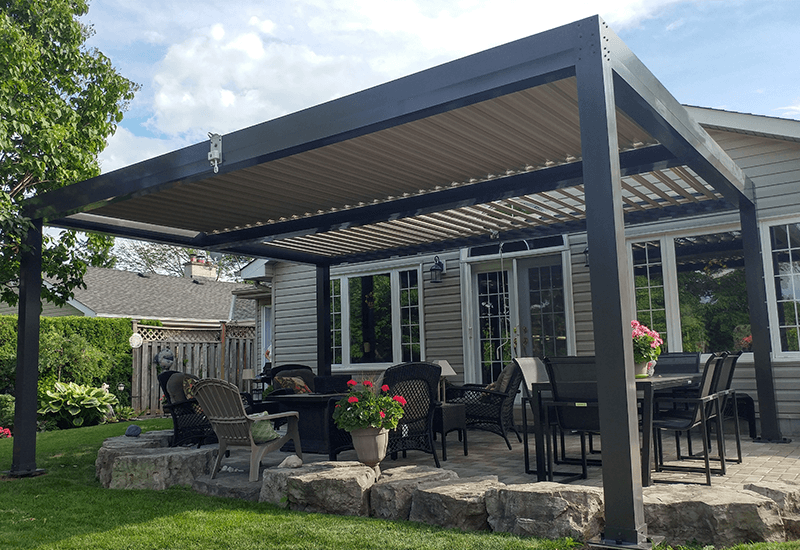 When you call us, we will book an appointment at your home or business at your convenience and have one of our experienced estimators come and give you a breakdown of what will need to happen in order to build you your custom aluminum louvered pergola. 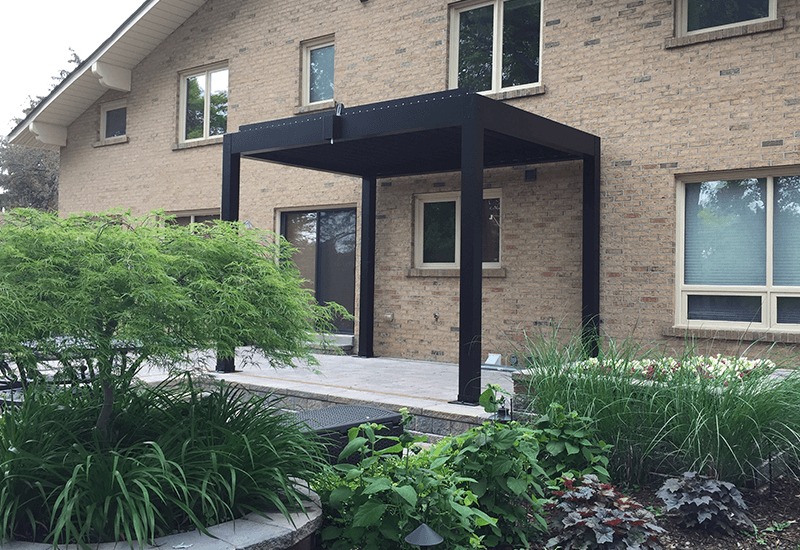 Once we solidified the install we manufacture your custom pergola. Typical wait time for manufacturing is 2-3 weeks. All our manufacturing is done in the GTA. All our products are built and designed in Canada. We are proud to offer an all Canadian-made product to our clients in the GTA. 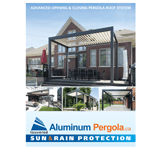 Contact us today at aluminumpergola.ca and start enjoying the outdoors with your new freestanding aluminum louvered pergola. Maximize the comfort and functionality of your outdoor living space year round.